When choosing your best bat, the first step may be to deciding if you prefer a one or two piece bat. Such a categorization divides your options roughly in half and helps wade through the ridiculous number of bat options on the market. To make that decision, we need to understand the real differences between one and two piece bats and which type of player generally prefers which bat. The idea behind a one-piece bat is simple enough. When a bat is made of a single piece of a single material, it is considered one piece. In the market today, one piece bats are made of composite, wood or aluminum. Not terribly confusing, although a bit more intricate, a two-piece bat refers to the bat’s handle and the bat’s barrel being constructed separately and then connecting them together through some means or another. There are various types of these bats. A bat with a composite handle and an aluminum barrel is referred to as a hybrid. A bat with both a composite handle and barrel is called a two-piece composite. In the past, there have been some slowpitch softball bats with a composite barrel and aluminum handle. We have never seen a two piece aluminum bat (aluminum handle and aluminum barrel). 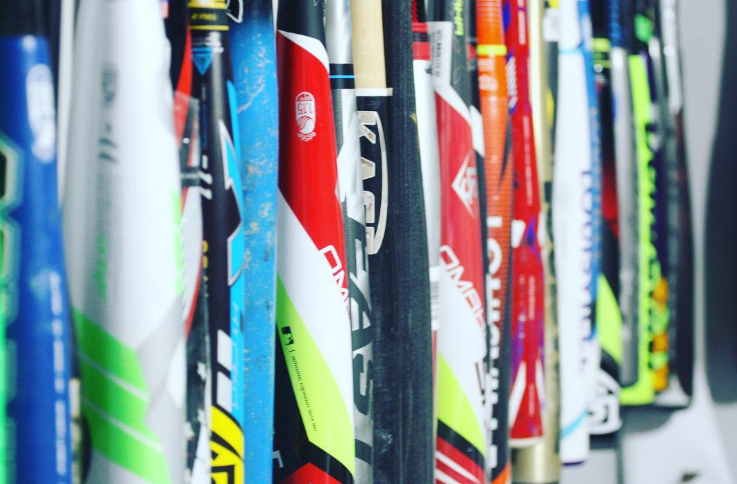 Clearly, each bat has its own feel and swing, but it can be helpful to consider some generalizations of bats in the one-piece and two-piece categories. The general construction principles that differ between the categories can provide specific hitter experiences. First of all, two-piece bats get rave reviews on sting dampening. That is, if a ball is mishit and vibration from that poor contact would rip your thumbs from your body when using a traditional one piece, a legit two-piece bat connection absorbs that sting and delivers a much smoother feeling swing. However, that smoother swing on a mishit ball with a two-piece bat does NOT also mean a better hit ball. Indeed, the false impression of a good hit, when in fact, the ball was mishit, is exactly what moves players away from a two-piece design. Is there potential for more lost thumbs in a one piece? Sure. But players who prefer a one piece bat want honest feedback from their bat. One option is not necessarily better than another, just preference. Our experience is that younger players tend to prefer two piece bats while older, stronger, more advanced players prefer one piece bats. There are surely exceptions to that observation. The laws of physics suggest a more rigid bat produces more power transfer to the ball. Indeed, no physics degree is needed to comprehend that a bat with less give at contact can deliver more energy than a bat with a lot of give. In general, this is the impetus for many one piece bat lovers’ claims that a one piece bat has more power than a two piece bat, due to the natural give at the connective piece. We agree, in theory. In practice, it could be argued, the natural give in a two piece creates a smoother hit, therefore providing players more confidence. 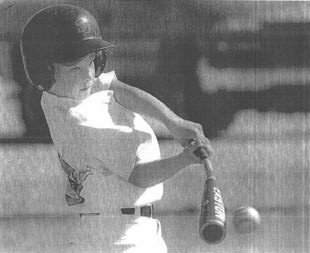 More confidence creates better at-bats and a more aggressive swing. More aggressive swings and better at-bats create more power. Again, there is no better option. Both arguments are reasonable. By their nature, one piece bats do not allow for a hybrid bat option. Two piece bats obviously do. As such, if you like the durability and hot out of the wrapper feel of an aluminum barrel, but can also appreciate the smooth feel of a composite handle, then a two-piece bat is for you. You can read more about our hybrid, aluminum and composite conversation here. This picture of bat flex happens AFTER Contact. Some consider bat flex when deciding between a two piece or one piece bat. They suggest a two-piece bat has the ability, like a golf club, to increase bat speed through the zone in a whip effect. Meaning, as the hitter’s hands glide toward the ball, the barrel is held back as the metal or composite bends. Then, just before contact, the barrel unbends and drives through the ball with increased bat speed. In not so many words, this claim is just not true. Bats do not flex pre-contact. It’s been proven a few times now. Any image you have seen of the bat flexing is AFTER contact. A bat that would flex by the force of a swing is not strong enough to hit an oncoming baseball or softball any considerable distance. Up until a few short years ago, the one-piece and two-piece structure applied to every bat on the market. More recently, bat companies have added additional pieces to the bat by, for example, extending the end cap, adding material at the transition point of a two-piece bat or putting more technology in the knob of the bat. This has pushed the limits of our nomenclature. We are writing a piece at the moment on the Multi-Piece Revolution which will dive into more details, but for our purposes here, we assume every bat with a connection point between the barrel and handle are two-piece, and every bat where the barrel and handle are constructed together of the same material are one-piece. A player who appreciates a bat made of a single piece of material likes the direct power such a design provides. Non-wood bats with a single piece design (composite or aluminum) feel more like wood bats when compared to their two piece counterparts. As such, single piece design lovers also appreciate how single piece bats more closely recreate the wood bat experience. A player who more often prefers a two piece bat appreciates the smooth feel on nearly every hit. Unlike a one piece bat, two piece bats don’t reverberate through the hands on mishits anything like some one piece bats. Additionally, two piece bat lovers may also want a hybrid bat. As we mention above, the preference between a one or two-piece bat is just that, a preference. Our experience points to younger players (pre-college) with less man-strength tend to prefer two piece bats for their smoother feel at contact and better weight distribution made possible through a two piece design. Stronger and older players tend to prefer stiffer bats for their power and honest feedback, two characteristics that come with one-piece bats. In the end, like most things in sports, you simply will not know what is best for you until you have a number of hacks and ABs with the different types. In other words, enough reading! Go play some ball.